Our Special Events in the past have included concerts, special speakers and community events. They are held either at our building at 650 James St, or across the street at Inspiration Hall, 709 James St. Doors for GA tickets holders will open at 6pm. 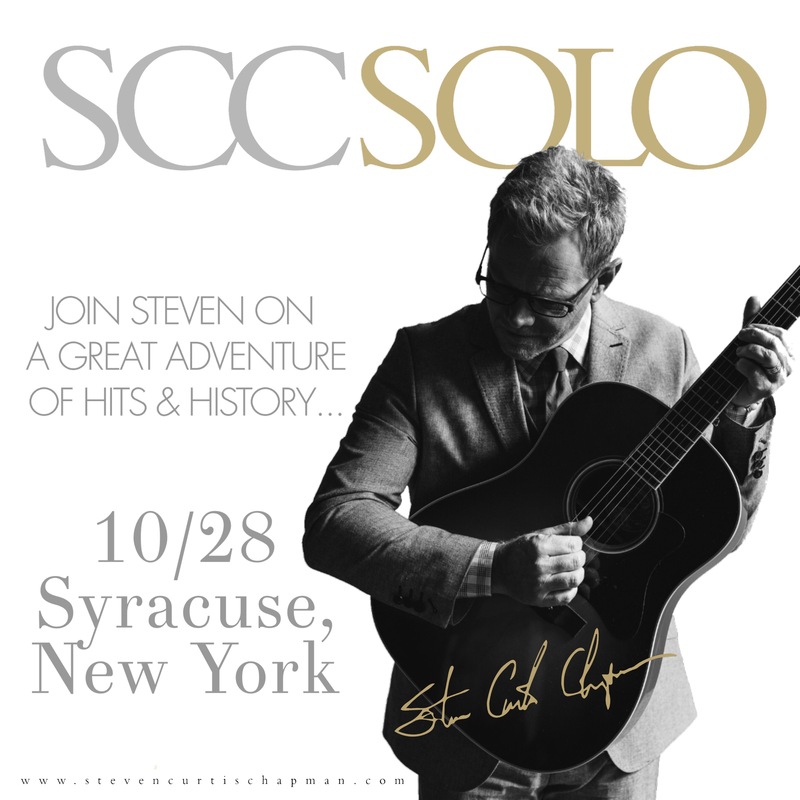 VIP ticketholders will receive early entry, a signed copy of Steven's book and a pre-show photo-op. Ultimate VIP ticketholders will receive everything from the standard VIP ticket as well as early entry for special reserved seating in artist circle around the stage and a post-show dessert reception with Steven including a photo-op. $40 Advanced General Admission Group Rate (10+). CNY Crossroads is an inter-community group located in Syracuse, NY. This website will have an up-to-date event calendar and also any pertinent announcements. If you have any questions about any events, or about our group, drop us an email. Or feel free to contact us.